Advertising is one of the many reasons why graphic design is so prevalent today and of course in the coming future. Advertisements generally should be creative, catchy, witty and above all entertaining while its trying to persuade the viewer to try out or to stick with a certain brand. There are tons of advertisements flooding us from a day to day basis but there are only a few of these amazing creative advertising ideas that hits the right spot of entertaining and persuading its audience. Since of the majority of the most creative pieces and minds are in the field of advertising we here at You the Designer have decided to bring you guys awesome creative advertisements every week to quench your thirst for inspiration. While many of us complain about the rise of mundane posts in Facebook and Twitter there are countries who block and silence people who are trying to share and express themselves online. This simple and interactive ad from Amnesty International with DM9Rio created a campaign wherein users are able to tweet black bars of censorship in their Twitter timeline. Windows 8 surely looks amazing but if you haven’t seen the new and improved Outlook then prepare to be amazed! The ad is telling its viewers to get going and do amazing things. The TV spot showcases some of the most stunning features the Outlook.com can do unlike other email services. If Macklemore’s Can’t Hold Us doesn’t get you guys pumped then the hovercraft probably will. Everyone has a nightmare story travelling by flight but if there is one airline that many would vouch for its great service its Emirates. Just a few days ago Emirates lunched the campaign Share a Smile wherein their cabin crew members shares to their viewers different light-hearted sayings from around the world in its native language followed by a short explanation. These 14 simple, quirky and funny videos are sure to make people smile and lighten up their day. You might never look at beer dispensers the same way again. Big Boss Brewing Company commissioned the McKinney ad agency to create this one of a kind beer dispenser experience. 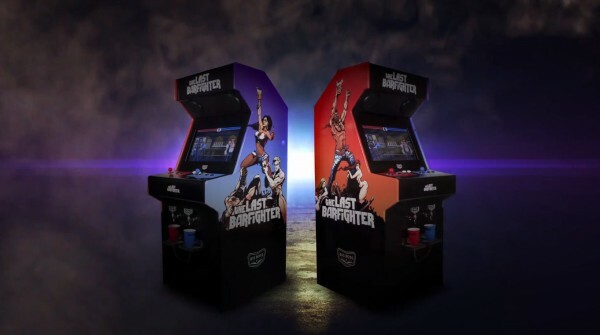 Gamers and beer fans a like are pitted against each other in a classic ala-Street Fighter arcade game entitled: “The Last Barfighter” wherein the winner of the three rounds doesn’t just get the bragging rights but also a cup full of Big Boss Beer. Now that is what we call amazing! Universidad Tecnologica del Centro or UTEC along with Mayo Publicidad DraftFCB showcased its amazing engineering prowess to attract applicants for the upcoming school-year by making a Water-Generating Billboard. Apart from the genius way of creating a billboard, UTEC has also done a exceptional job of inspiring future students by showing that with engineering they will be able to change the lives of many people and make it better. What do you guys think? Isn’t it inspiring or what? Tell us your thoughts and which ad do you like the most down at the comments section.